The Association of Organ Builders in the Netherlands (VON) (optie: The Institute of Dutch Organ Building) is the professional association of Dutch organ builders. Unique craft makers involved in making, restoring, rebuilding and maintaining pipe organs. The objective of the association is to promote the craft and art of organ building and bring it to a higher level, both nationally and internationally. In addition, the VON also represents the interests of its members. Organs are complex instruments made up of many different parts and materials. A lot of craftsmanship is involved in restoring a historic organ. The VON has drafted a Historic Organs Directive to ensure that the quality of this craftsmanship is maintained. In addition, the URL provides the client clarity about the work they can expect. 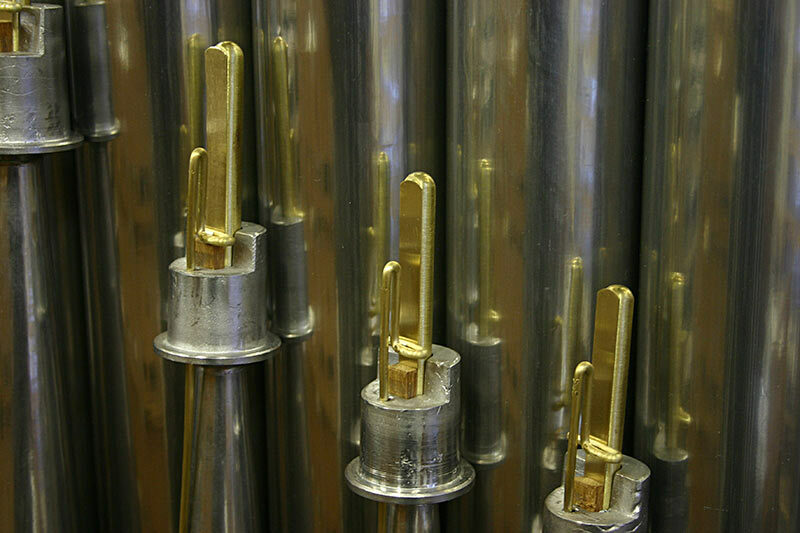 The Directive (URL) describes for each specific component of the organ how it needs to be restored, with particular attention to sound, intonation and tune. In order to ensure a joint effort of all components, solid cooperation is paramount when working on the instruments. It is precisely this joint effort that gives each organ its own unique sound. The Directive (URL 7010) has been filed with the ERM (Dutch foundation for a recognized restoration standard in the preservation and restoration of historic buildings and sites) and established by the Central Board of Experts Restoration Quality of the ERM. Nowhere else in the world will you find more pipe organs per square mile than in the Netherlands, including instruments that even date back to the fifteenth century. To maintain this extraordinary heritage and sound, the VON has contributed to financing and organizing the Platform Sound Heritage and the organization of the Festival Sound Heritage. This national network facilitates and promotes the management and maintenance of sound heritage and works on making this craft interesting for young and old. Currently the association has 16 members and their own secretariat. In addition, there is an active board of 5 members that meets 4 times a year. The board has an external and independent chairman, Mr. Herman Sietsma, who is not an organ builder himself. In addition to the Directive, the VON has its own CBA, its own Terms and Conditions and a code of conduct.